DO YOU HAVE FLEXIBLE DATES OR WANT TO SEE ALL OF YOUR VACATION OPTIONS? 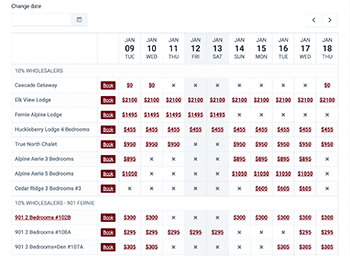 WE’VE SLASHED PRICES 30-40% ON ALL OF OUR PROPERTIES FOR STAYS UNTIL APRIL 21, 2019. Fernie Central Reservations specializes in condo, chalet and lodge rentals in the historic town of Fernie and at Fernie Alpine Resort. Whether you are a first-time visitor or a guest who returns time and time again, let Fernie Central Reservations help you every step of the way. Fernie is conveniently located a short 10 minute drive to Fernie Alpine Resort. You are never far away from fun and adventure. Luxury and comfort awaits you at any one of our IN TOWN or MOUNTAIN SIDE vacation accommodations. 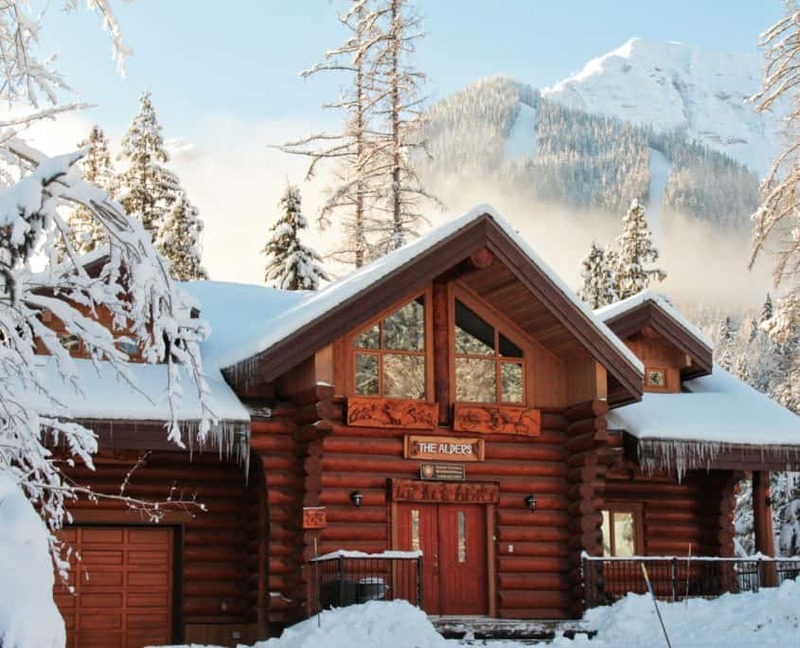 Let Fernie Central Reservations help you find that perfect holiday condo, chalet or lodge. There’s so much more to Fernie than just skiing! Why not try some Mountain Biking at Fernie Alpine Resort? Or, if you are brave of heart, try the challenging Aerial Park and Zipling if you dare! Did you know that Fernie has some of the best Fly Fishing in North America right on the Elk River? Hiking, Swimming, Golfing… We have it all in Fernie. 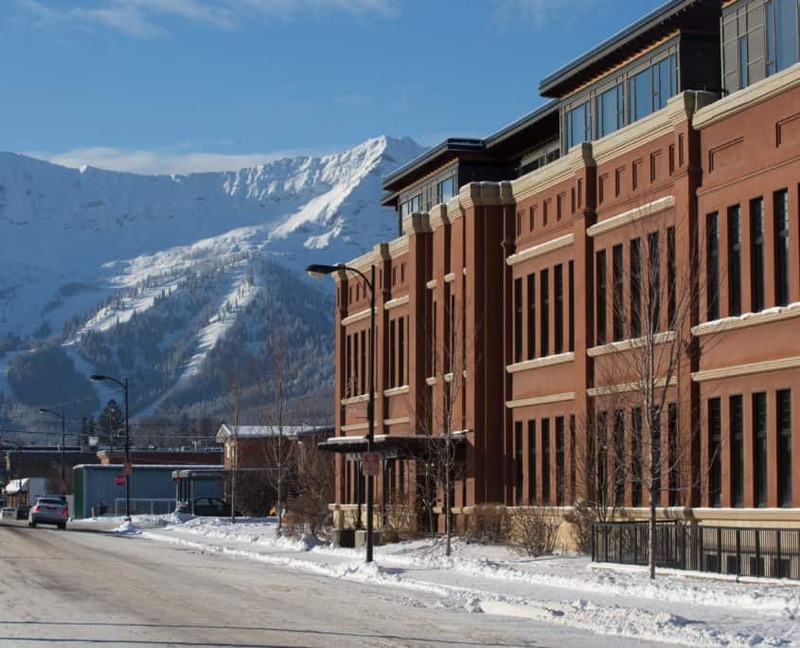 Fernie Central Reservations would like to help you enjoy all that Fernie has to offer in the winter time. From an unforgettable day of Catskiing to a guided snow shoe tour or perhaps cross-country skiing around Island Lake Lodge to snowmobiling or fat biking through the old growth cedar forests. There’s so much more to Fernie than just skiing at Fernie Alpine Resort! We stayed here in august for four days. Everything was just as described and wonderful. Three master bedrooms was a total bonus. All were huge! Kitchen is well stocked and with two of all main appliances, not to mention two toasters and coffee makers, cooking was a breeze. Dining table seats twelve, playing games in the evening had room for all. Downstairs had beds for eleven but only one bathroom, with the kids down there it was fine. Hot tub just out the basement door was well used. On the upper deck is a large BBQ and lots more seating. Located close to the aerial playground which we took in so much fun also walking distance to ski lifts. we booked a day of fly fishing which was very close and the guides were experienced and fun! Great place to holiday and this property was above our expectations. Thanks for the memories!!!! We had a great time. Access to the slopes was right out our door. We had a dozen people ranging in age from 0.5 to 50+ With multiple teenagers and everyone had a wonderful time. Lots of room to gather for “games night” but also lots of room for the teenagers to have some space of their own. 5 very nice bedrooms accommodated our big family very comfortably. The view out the front room windows was spectacular! The state of the art washer and dryer helped our snowboarders launder their gear after a day enjoying great spring ski conditions. Overall, a really nice place for a big family and if the ski conditions cooperate, you’re in for a great experience! We really enjoyed our stay at the Snowed Inn. Lexie made us feel very welcome and looked after all the little details. The location is a true ski-in/ski-out as you ski out your doorstep right to the Elk chair. The Inn is unique in that the layout makes it very versatile to accommodate many different size groups, I think it would be a great place to stay for a large family, or a family reunion, or several families that want to stay together. The Swim Spa was massive and we all loved the steam room. The best location on the hill guaranteed. Fernie Central Reservations were a dream to deal with, I needed to book multiple cabins and any request that I had was dealt with promptly and so efficiently. Diana was a huge help in the initial booking of the cabins (even when I needed an extra cabin she was more than helpful) and I really appreciated all their help. The cabins were perfect and had everything our group needed, nobody had a negative comment to make. Can’t wait to book with them again! Spent two nights at the Silver Rock condo. The place was really nice. It was impeccably clean, tastefully decorated, well stocked with kitchen stuff and plenty of magazines and local information on the coffee table to help us make dinner and after hour decisions. Would definitely stay here again. The underground parking is pretty tight but not a deal breaker for us. Great location as it is very close to the ski hill, very good communication with the host. The place is clean with all the necessary amenities, which lead to a comfortable stay. Thank you. What a great place this was for a large group. Accommodation was great and very close to downtown. Your quick responses were very helpful!! We loved this rental. We traveled with 6 adults and 3 small children right after Christmas. The kitchen was well equipped and the home was clean. It was much larger and nicer then pictures show. Plenty of room, plenty of seating and comfortable beds. The hot tub was really great. We had to get driven up to hill but could ski down. beautiful property. Will definitely rent again. We would definitely rent this property again! This is probably the cleanest rental we’ve ever stayed it. The kitchen was very well stocked with everything you could think of. Loved the beverage station and wine fridge. We are pretty particular and we were very impressed with this rental. Great location. The hot tub was great and large screen TV was good too. The cabin was decorated with simple, elegant, rustic decor. The lighting and details didn’t go unnoticed! WE WILL BE BACK! We enjoyed our stay. It was cozy and had room for everyone. Hot tub was fantastic. We loved staying at this property. It was the perfect size and location for our group. The walk up to the hill was quick and convenient!. Overall a great stay and fun times. Lovely home with ample room for our family to gather and enjoy one another. Multiple common areas where a large group can comfortably gather, including the dining area, main floor living room and basement. Convenient location with path to ski home and spacious accommodations with full kitchen. Prompt service from the rental/support company when needed (eg batteries dead in the basement TV control). Peace when several children wanting to watch different shows, since 3 TV’s!!! Beautiful, on edge of forest…a delightful place to stay. We were a family group ranging in various ages from 2 years old to 74 years. Eight adults and three children, from Canada, the US and Ireland. Some hadn’t met for 26 years, others were meeting in person for the first time. The online photos and description of the property were exact. When we unlocked the door we were delighted with the space and the high quality finish with attention to details. The kitchen was amazing, with a great supply of dishes, cutlery, glasses, large bowls, pots and pans. We were able to shop and cook and spend hours relaxing in the comfortable living area. We went out to shop and eat in the town of Fernie also and enjoyed what the town and surrounding area had to offer. The Alders is a beautiful home. Tons of space with a great layout. I would highly recommend this home to anyone looking to stay in Fernie. Check in was a breeze and everything was easy to get sorted out. The perfect spot for our ski vacation. We enjoyed the ski in ski out and the underground parking. The condo had everything we needed to make our week memorable. It was a pleasure dealing with Fernie Central Reservations and we felt they were making sure that our stay was the best possible. I would definitely stay there again. Can’t beat the location. The place was perfect for what we needed: A place to sleep, make great communal meals, and hang out in the evening. Good proximity to town for our day time adventures, and a nice spacious kitchen so we could all pitch in to help cook. Plenty of sleeping downstairs away from the common area so the early-to-bed crowd wasn’t disturbed by the rest. Very clean and well kept, and Lexie was very accommodating and pleasant to deal with. Definitely recommend it. Being at the Historic 901 was a perfect fit for us! Excellent downtown location, walking distance to grocery store, restaurants, movie theater and a short drive to Fernie Ski Area. Interior was light filled but cozy! The beds comfortable, bathrooms spacious, and the kitchen was really well furnished with pans, dishes, utensils, coffee maker, toaster, etc. The ease of heated under ground was a nice bonus. LOVED IT! Fernie Central Reservations is a fully licensed Call Centre booking Fernie accommodations and holidays. We are Fernie’s only fully licensed call centre. With agents based right in historical Fernie our location is right on the Crowsnest Pass Highway 3. From our location you can see right up the ski hill… exactly where you want to be. Promotions, last minute specials and events… right to your inbox.